This is the fourth holiday season that I’ve gotten to spend in Puerto Rico… which means there have been numerous opportunities for me to indulge in all of the traditional local holiday foods and drinks from lechon asado, to pasteles to the holiday drink of choice – coquito. Coquito is kind of like Puerto Rican eggnog – sweet, creamy and utterly addictive. It traditionally made from pitorro (local moonshine), coconut cream, like the bar staple Coco Lopez, sweetened condensed milk, cinnamon, nutmeg and cloves. It’s sweet, spiced and uber delicious. While I’ve had my fair share of pitorro-based coquitos, it’s not uncommon to see ones made with local rum as well which is the route I chose to take. 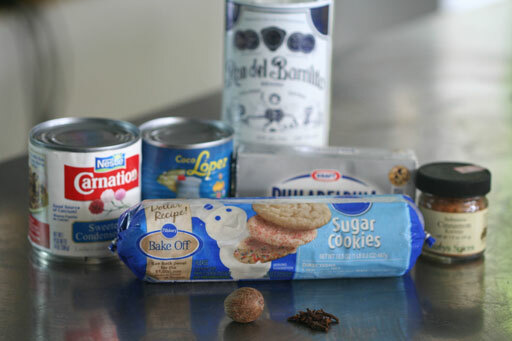 This recipe is my ode to Puerto Rican holiday traditions. 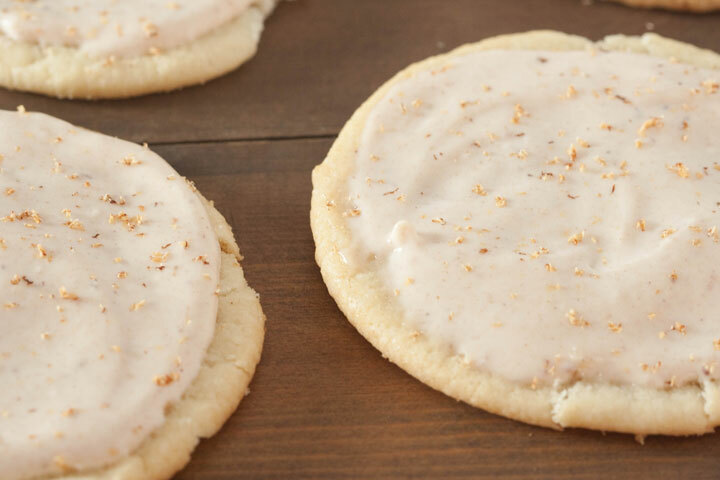 The frosting on these sugar cookies is filled with all of the flavors of coquito. I hope you guys enjoy these holiday cookies as much as we did! Coquito Frosted Sugar Cookie mise en place! *This post is sponsored by Pillsbury. All content and opinions shared are my own.